Looking for community engagement opportunities? We’re here to help! The Center for Community Engaged Learning was established to help build upon, deepen, and expand the relationships between UW-Superior and the community. The Center will help bridge us, from our various disciplines, industries, and areas of expertise, in coming together to solve real issues that make a huge impact in people’s lives. By creating this Center, UW-Superior is leveraging its strengths as an anchor institution—one in which public engagement is deeply ingrained, fully institutionalized and effectively taught and implemented. The one-stop-shop Center creates and sustains opportunities for meaningful engagement with the Twin Ports community to deepen learning, broaden knowledge, and further develop reciprocal relationships locally and regionally. Academic Service-Learning (AS-L) provides an underpinning of the campuses outreach activities for the Center. AS-L is a credit bearing, educational experience in which students participate in an organized service activity that meets identified community needs. With over 230 partnerships including many area schools, nonprofits, small businesses, and organizations such as Superior School District, The Center Against Sexual and Domestic Abuse (CASDA), and the Superior-Douglas County Chamber and Visitors Bureau, the initiative aims to make UW-Superior a regional leader in AS-L, thus providing a distinctively public quality to UW-Superior’s liberal arts mission. These opportunities allow our students to not only test their knowledge in the real world, but to play a vital role in the well-being and development of the community. 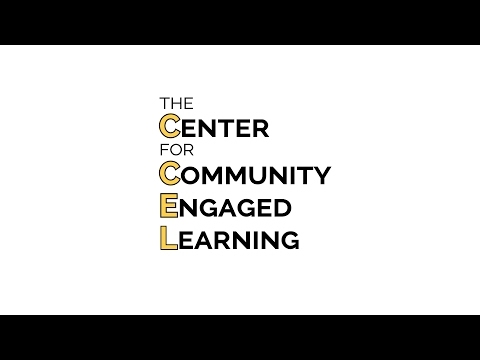 The Center for Community Engaged Learning is co-located with Center for Undergraduate Research, Scholarship and Creative Activity (URSCA) and Career Services. We invite all community members, faculty, staff, and students to connect with us! The establishment of the Center aligns with UW-Superior’s mission of advancing community engaged learning on campus. Within the University’s mission statement, it states: “The University fosters intellectual growth and career preparation within a liberal arts tradition that emphasizes individual attention, embodies respect for diverse cultures and multiple voices, and engaged the community and region”. The establishment of the Center for Community Engaged Learning is a means to coordinate and highlight campus efforts. UW-Superior is engaged in a broad array of activities that allow students to enhance their education through community partnerships. Through these mutually-beneficial partnerships, we are committed to deepening student learning, cultivating and sustaining civic participation, and bringing about positive social change.